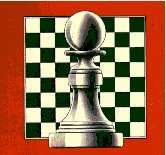 This site provides information about chess governed by The Buckinghamshire County Chess Association , and gives details about active Chess Clubs, their meeting times and their locations. Use the navigation bar at the bottom of this page to visit other parts of the site. Bucks Individual (The Fred Day Cup) - Published Monday, 15 April 2019. Bucks League Results - will open new browser window or tab. The Bourne End One Day Congress will take place on Sunday, April 28th. The entry form and tournament details are available to download. The Aylesbury venue is closed for the foreseeable future. Bourne End club is only open when Buckimghamshire League or Berkshire League fixtures are being played. Here are the minutes of the recent AGM..